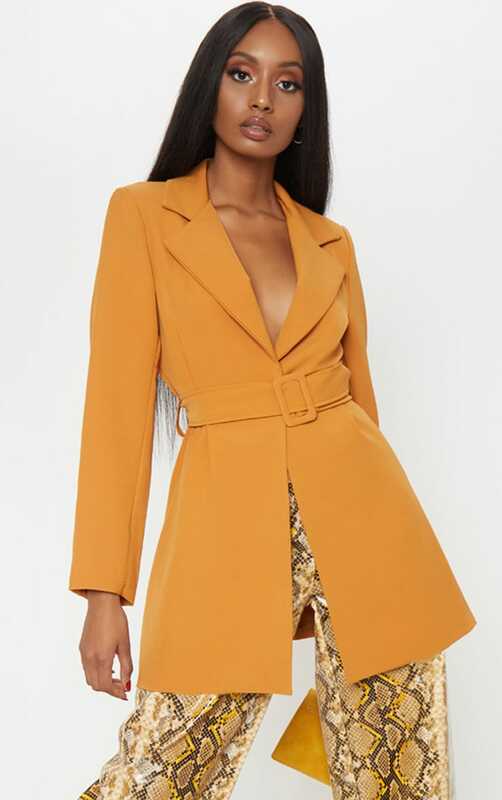 Elevate your look with this must-have blazer. 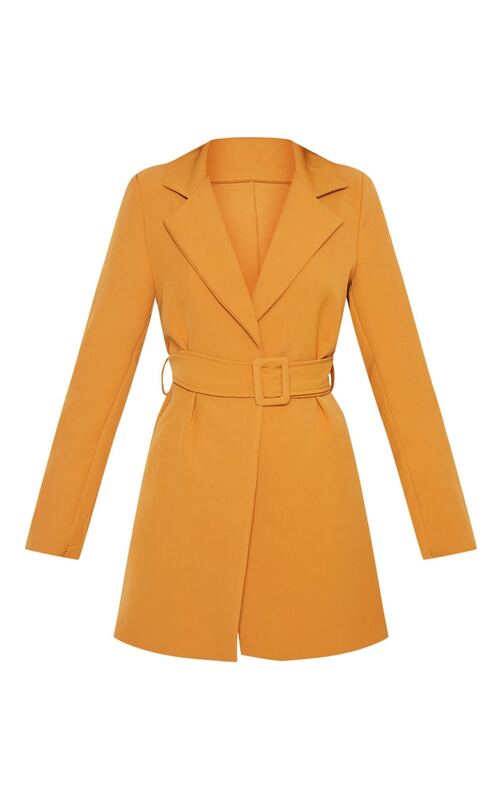 Featuring a mustard material with a belt detail, a classic collar and a loose fit. 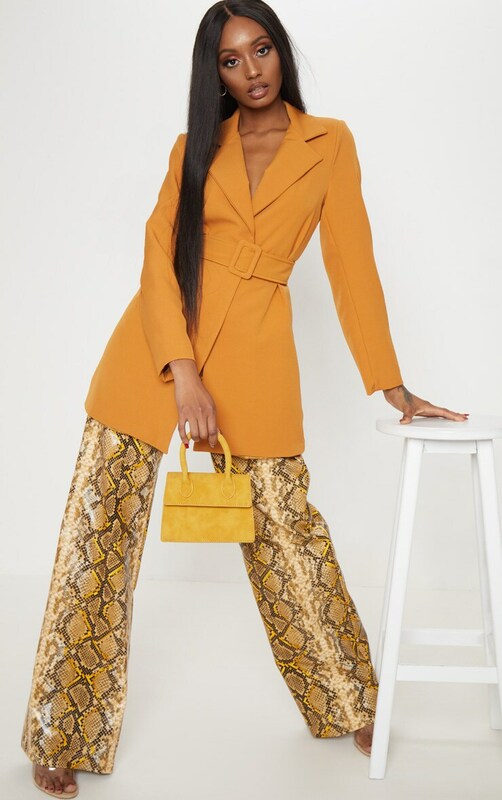 Team this with a crop top and wide-leg trousers for a look we are loving.